It's Two for Tuesday at the ballpark, which means half-priced groups and buy-one-get-one field box tickets! Enjoy another Skeeters game and Kids in Free Wednesday featuring FREE admission for kids 12 and under! 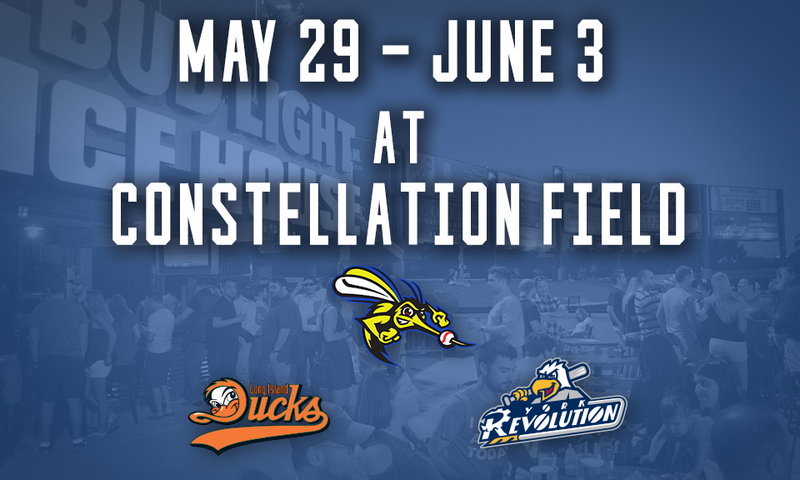 Join us at Constellation Field and enjoy $2 beer and soda in honor of Thirsty Thursday! We've got a lot in store this Friday! Join us for our Boy Scout Sleepover as well as Super Hero Night featuring a comic book giveaway courtesy of Bedrock City Comics for the first 2,000 fans! As always. be sure to also stay for another great fireworks show after the game! Head to the ballpark early for our Skeeters Bank giveaway courtesy of MemberSource Credit Union for the first 2,000 fans through gates! Be sure to also join us for Candlelighters Night featuring a special jersey auction! Brewfest is back at Constellation Field! Enjoy beer tastings from a number of different breweries including St. Arnold, Karbach, and much more! Be sure to also join us for our Skeeters Pint Glass giveaway (first 1,000 fans) courtesy of Silver Eagle and Sunday Funday featuring pregame catch on the field, player autographs, and Dr. Larry Caldwell's post game Kids Run the Bases!